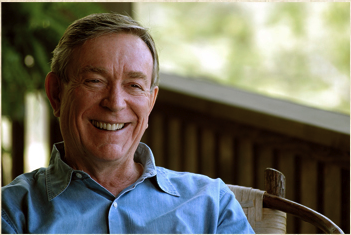 At the heart of the story is entrepreneur Ray Anderson, whose environmental epiphany in 1994 inspired him to convert his billion-dollar carpet company from a “well-oiled machine” to a restorative enterprise by 2020. 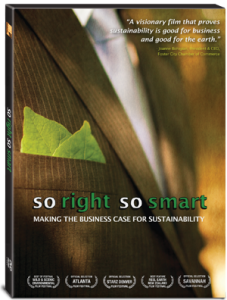 So Right So Smart includes examples from many other companies that have built successful business models around the core values of environmental stewardship. The film has screened at over 30 film festivals across the globe and has played in theaters across the country, and has been recognized with numerous international awards. Anchoring So Right So Smart is self-proclaimed “radical industrialist” Ray Anderson. The Washington Post called Anderson “the Greenest CEO in America” for his crusade to turn his billion-dollar carpet company into an environmentally sustainable enterprise. Interface remains firmly committed to Ray Anderson’s vision, which has saved the company hundreds of millions of dollars. The Ray C. Anderson Foundation now aims to help create a better world for Tomorrow’s Child through research and funding of other like-minded missions and initiatives. It’s hard to see the movie and not come away an evangelist. A powerful message of profound business opportunity. A visionary film that proves sustainability is good for business and good for the earth. Quickly and compellingly makes the case for why doing business sustainably is not only needed, but can be exceptionally profitable. There’s a lot of hunger out there for a message of hope. Ray AndersonFormer CEO & ChairmanInterface, Inc. This movement is not about ideologies, its about ideas. There is no waste in nature. Everybody’s waste is somebody else’s food. If you make the time frame long enough and you make the space long enough, there is no difference between ecology and economics. They are the same subject, you just need to look at it from the perspective of the whole planet. For me the meaning of sustainability is quite simple. Its living as if we believed there was a future and it mattered. We have to get to a point where we, as a society, understand that you don’t mess with the earth. We want to demonstrate the power of an individual to make a difference. Particularly when you can take that individual and multiply them by a thousand.